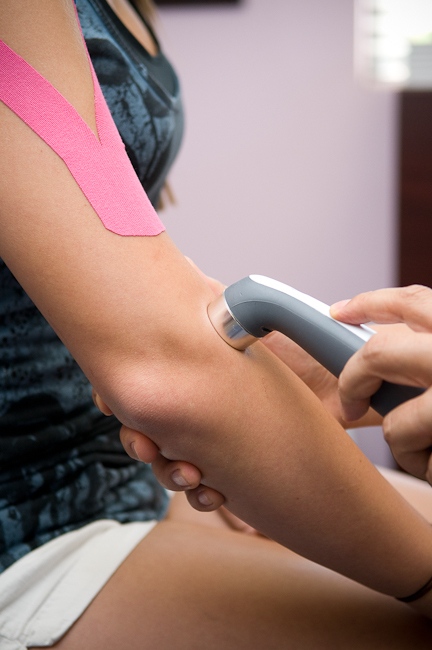 Many injuries can respond well to the use of ultrasound. Neck pain, back pain, whiplash, car accident injuries, and other conditions can help be alleviated by this technique. It is usually combined with other techniques by chiropractors in Denver. Essentially, electrical energy is converted to sound waves (mechanical energy), which in turn vibrate the tissue. This vibration can penetrate up to 3-5 cm of human tissue. This is why ultrasound is used, to deliver heat to tissues that are deep. 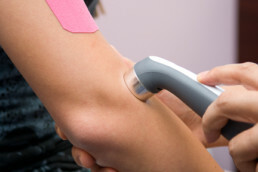 As you see in the picture, chiropractors in Denver usually use ultrasound in conjunction with other techniques. This is where the art and science meet in the clinic. It is the doctors discretion to utilize a combination of services to help accelerate the healing process.